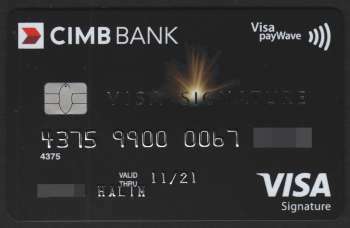 CIMB Visa Signature is a premium credit card reserved for graduates and professionals with income of more than RM100,000 per annum. 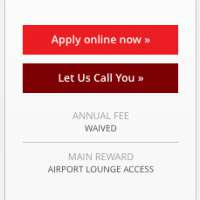 It has a dedicated CIMB Travel Desk - allowing an exclusive travel deals and arrangements from hotels to flights reservations or personalised tour packages by a team of travel professionals at CIMB Travel Desk. 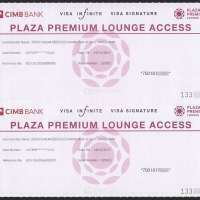 The holder will also enjoy 2 times Plaza Premium lounge access for the first year, the voucher came along with the delivery of the credit card. 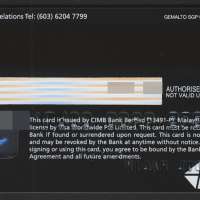 This will be automatically renewed annually if holder's total spending is RM100,000 or more per calendar year. 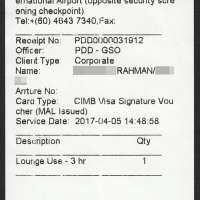 Only valid for Plaza Premium Lounges in Malaysia (KLIA, KLIA2, Penang, Langkawi, Kuching and Kota Kinabalu) and Singapore. 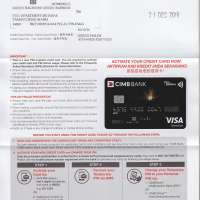 Holder will also receive automatic travel insurance coverage when he charge the full fare of his airlines tickets to his CIMB Visa SIGNATURE card.